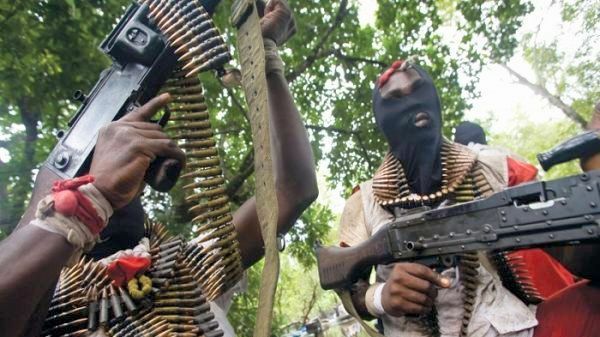 Gunmen have kidnapped a Naval personnel, simply identified as Kola, along the Sapele/Benin road in Delta State, DAILY POST can report. It was learnt that the kidnappers are currently demanding a N4 million-ransom from the families of the Naval personnel. DAILY POST gathered that the officer was returning from a course in Sapele when the gunmen attacked and whisked him to the forest. At the time of filing this report, the Police are combing the area with a view to rescuing the victim unhurt. The Delta State Acting Police Public Relations Officer, DSP Andrew Aniamaka, confirmed the development in a chat with our correspondent. DSP Aniamaka said, â€œThereâ€™s a report of kidnap. The person allegedly kidnapped is a Seaman. His name is Omoniyi K D.
â€œHe was last seen in the evening of 29th when he drove out of the Naval Engineering College, Sapele in his Toyota Picnic vehicle. â€œThe hoodlums called with his old number and are demanding for four million naira. The Commander of the Nigeria Navy Ship, NNS Delta, Commodore Ibrahim Dewu did not pick up calls neither did he reply text messages put across to his mobile phone as at press time. As at the time of filing this report, there is serious tension within the area where the incident occurred.